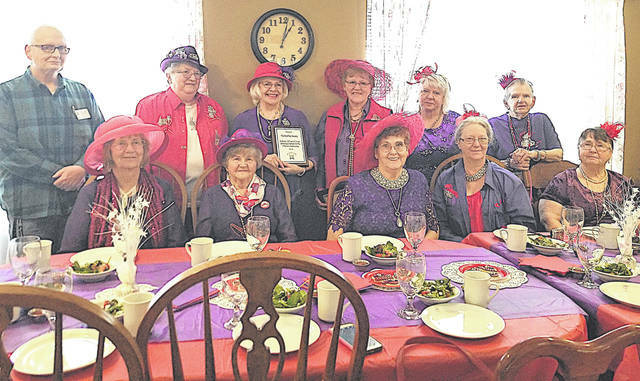 A luncheon in honor of the Red Hat Society was held recently at Bell Gardens Place in Hillsboro. The Red Hat Society has been involved in helping Highland County with needs and support with fundraising and donations. A plaque was presented by Michael Bradford, Bell Gardens executive director, in honor of the 21 years of service from the Red Hat Society.